Eggboy is not facing any charges() of assault. You must be really embarrassed. No you don’t, but it is odd that you would bring it up and then refuse to elaborate. There is no conceivable reason why you would not reveal your thinking on the matter. It’s almost as though you really don’t know, but are blowing smoke anyway just to make some sort of point that only you understand. I know, but that’s not what I said. I said he assaulted the Senator, and that is exactly what he did when he cowardly came up behind him an smashed an egg on his head. And that your government has decided that that assault was excusable because the little twit was upset with what the Senator said just goes to show how ■■■■■■ up your country is. Kid standing up to a modern day brown shirt and taking a beat down and near strangling by his henchmen is the very definition of cowardly. The so-called “brown shirt” was a duly elected Senator and the “henchmen” were his security detail. If you snuck up behind a US Senator and cracked an egg on the back of his or her head you would find yourself eating the carpet before you took your next breath. I stand corrected. It definitely the brave thing to not stand up against a duly elected modern day brown shirt. He didn’t stand up to him, he snuck up from behind and cowardly blind sided him. And it does not matter what the Senator had said or was saying, assault is a criminal offense and the kid should now be facing a judge, not being lauded as a hero. You guys are ■■■■■■■ sick if you think that behavior should be rewarded. It has nothing to do with the government, state or federal. It is the responsibility of the police and the state DPP. I am also intrigued why you haven’t suggested that the senator should also be charged. Eggboy has not been charged with assault. Point number one: could you please explain duly elected Senator? Point number two: he did not sneak up. He was clearly listening to him for some time. The police ARE the government. And how the hell did you come up with that? What crime did he commit? I know that. The question is why. He clearly committed an assault. One. Senators are elected. Period. Two. He came up from behind. That is what blind siding means. Three. Only one person committed an assault … the so-called egg boy. When it comes to hunting and skills training, America's hunters have known for years where to go: the National Rifle Association. When it comes to hunting and skills training, America’s hunters have known for years where to go: the National Rifle Association. Working in cooperation with the state of New York in 1949, we developed hunter safety training as it’s known today. Since then, our proven hunting education principles have been adopted by one state after another. Hunters contribute millions of dollars every year towards wildlife management and conservation projects as well as work to preserve the treasured tradition for future generations. Youve argued about guns for how long on here and you didnt know this? Youve argued avout guns for how long on here and you didnt know this? 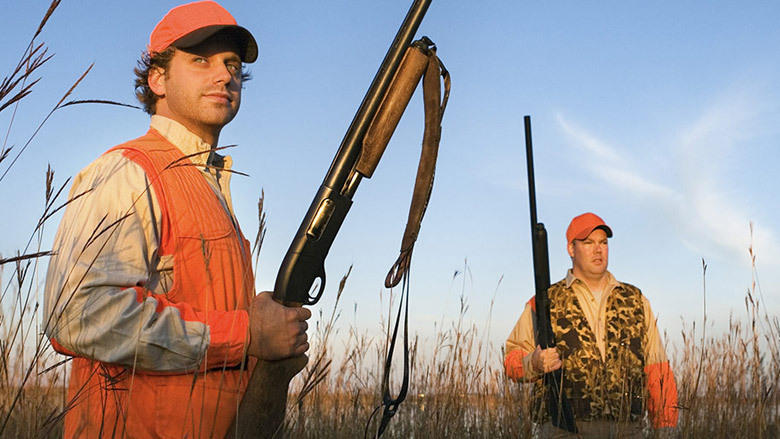 What a surprise … some NRA members go hunting. Did you miss the part about skill training? The primary function of the NRA is gun safety and skill training, whether you use that learning to hunt or not.